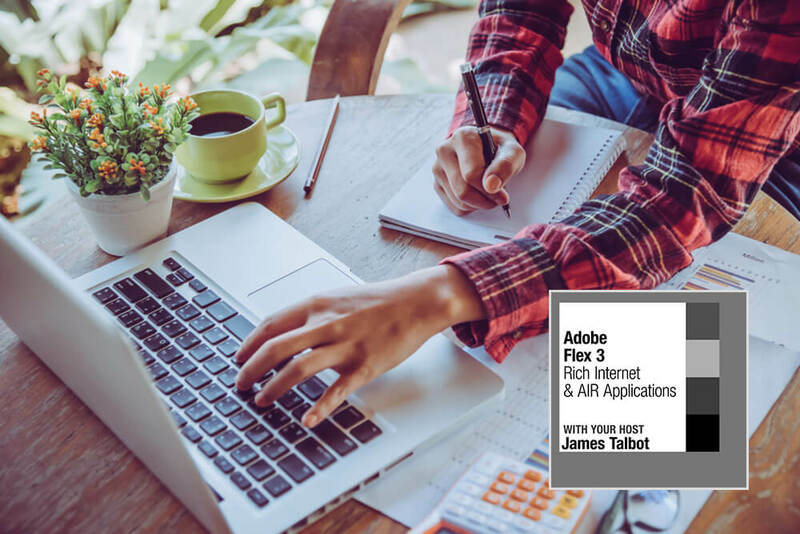 Adobe® Flex™ 3 is a cross platform, open source framework for creating rich Internet applications and Adobe AIR™ applications. His in-depth Flex 3: Rich Internet & AIR Applications training series and its accompanying project work files will show you the evolution of rich internet application using Flex framework, plus how to build applications using the latest Flex Builder™ 3 tool that takes the best capabilities of both the desktop and the web. This series is a must-have for any developer looking to fine-tune their skills and enter the exciting new marketplace for developers. Successful candidates will be awarded a certificate for Flex 3: Rich Internet & AIR Applications. Gain the relevant knowledge required on Adobe® Flex™ 3, which is a basic open source framework which is used in developing unique and content-rich internet applications. You will be taught how to create such applications from scratch using the Flex framework and also how to get the best out of the web and desktop applications. A career with bright prospects await you with the completion of this course. According to www.payscale.uk, some of the key job positions along with the average UK salary per annum you can go for after completing this course will be as follows. James has been with Adobe (formerly Macromedia) for over seven years, on both the sales engineering and training teams, and has many years of experience working with Flex and building applications. He is currently building some exciting new applications using the Adobe AIR desktop platform. James has traveled extensively throughout the world promoting Adobe products and certifying Adobe instructors as well as speaking at conferences. He has written Object Oriented ActionScript 2.0 published by New Riders Press as well as the Flex 2: Training from the Source book. James has been an integral team member on many high profile Rich Internet Application consulting assignments.